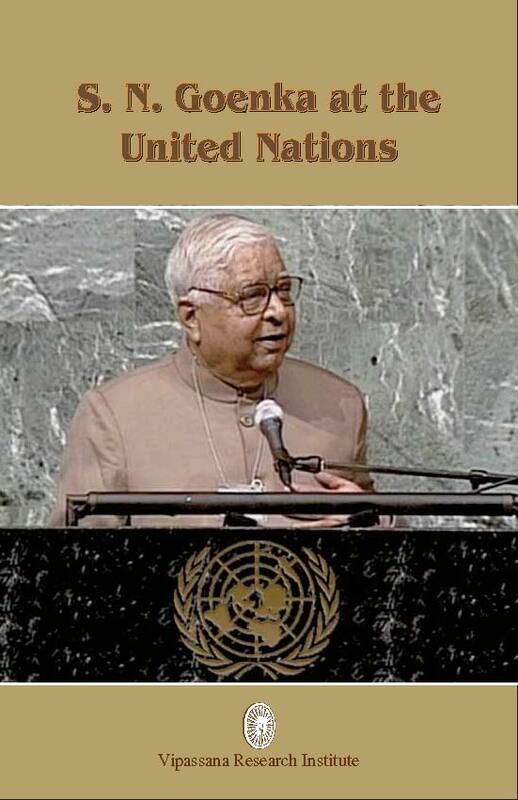 In late August 2000, Mr. S. N. Goenka participated in the Millennium World Peace Summit—a gathering of 1000 of the world’s religious and spiritual leaders, held at the United Nations under the auspices of Secretary-General Kofi Annan. The purpose of the meeting was to promote tolerance, foster peace, and encourage inter-religious dialogue. In his presentation to the delegates, Mr. Goenka tried to highlight what all spiritual paths have in common: the universal Dhamma. His remarks were received with repeated ovations. 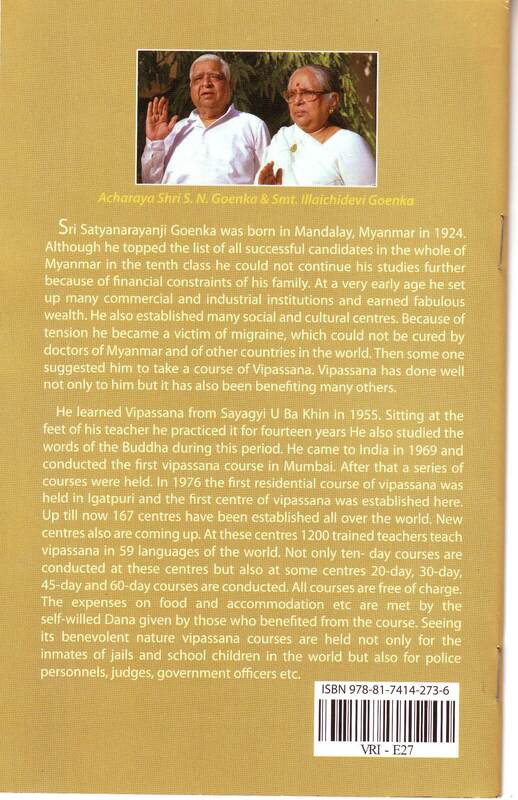 This book contains two keynote addresses given by Mr. S. N. Goenka in the above Summit – ‘Inner Peace for World Peace’ and ‘Buddha: The Super-Scientist of Peace’. This book is ideal for Vipassana meditators as well as non-meditators.